The 2016 Summer Olympics are underway. 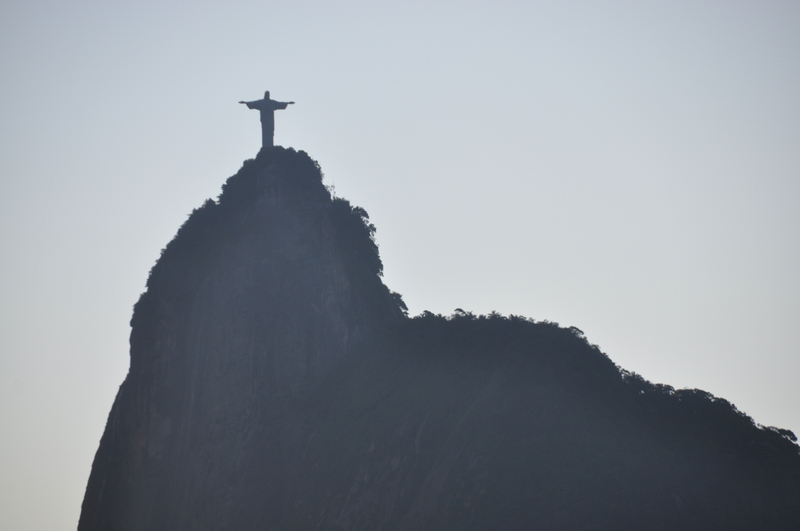 When I first learned, in 2009, that Rio de Janeiro was awarded the games, my heart leapt. 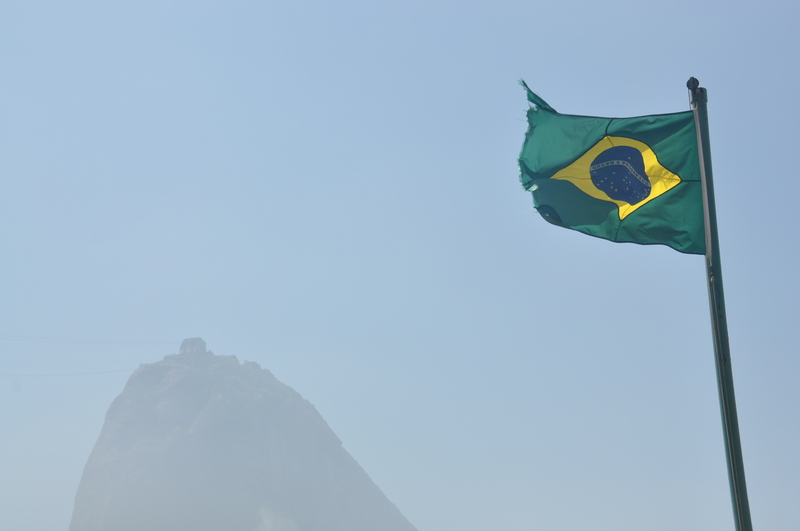 No South American city has ever hosted an Olympic games before this year, and if the 2014 World Cup (also held in Brazil) was any indication, the Games of the XXXI Olympiad will go off without a hitch. 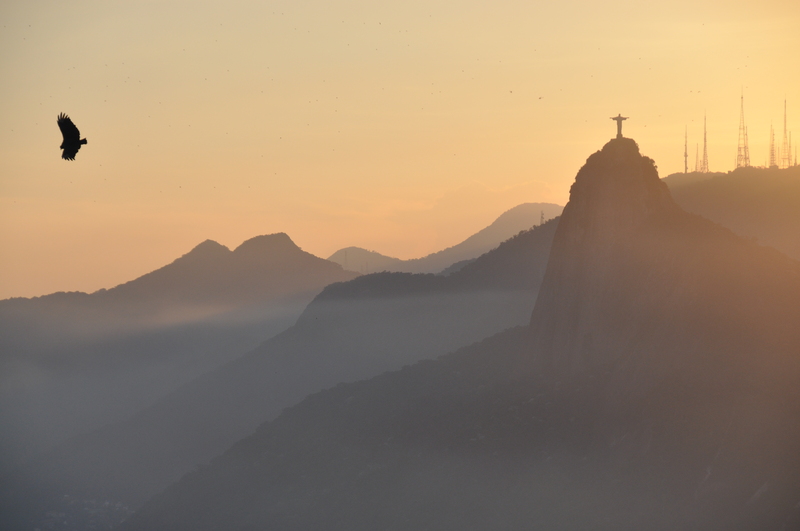 The New Seven Wonders of the World were announced in 2012, and Rio’s Cristo Redentor – Christ the Redeemer – made the final cut. 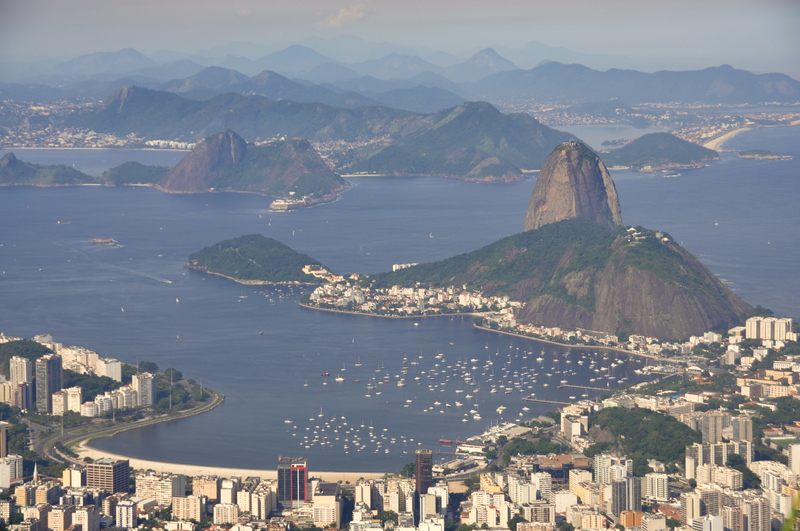 But did you know that Rio’s Natural Harbor was one of the original Seven Natural Wonders of the World? And for good reason. 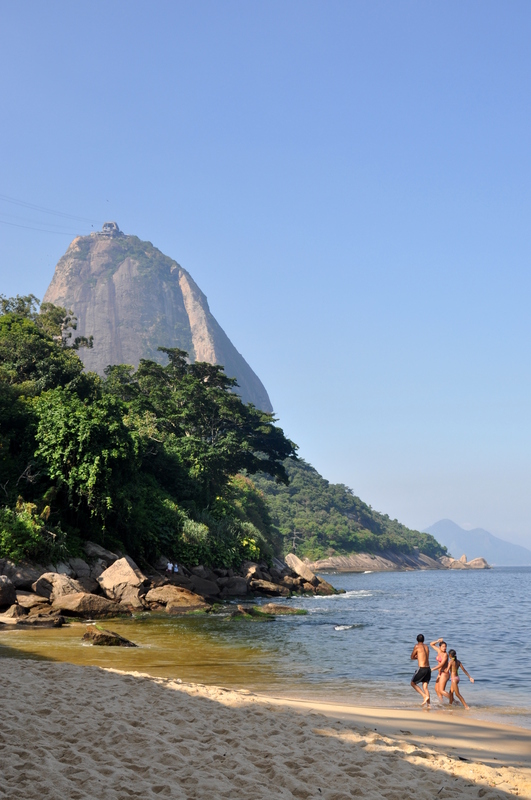 The star attraction of Rio’s harbor is Pão de Açúcar, the Sugar Loaf. 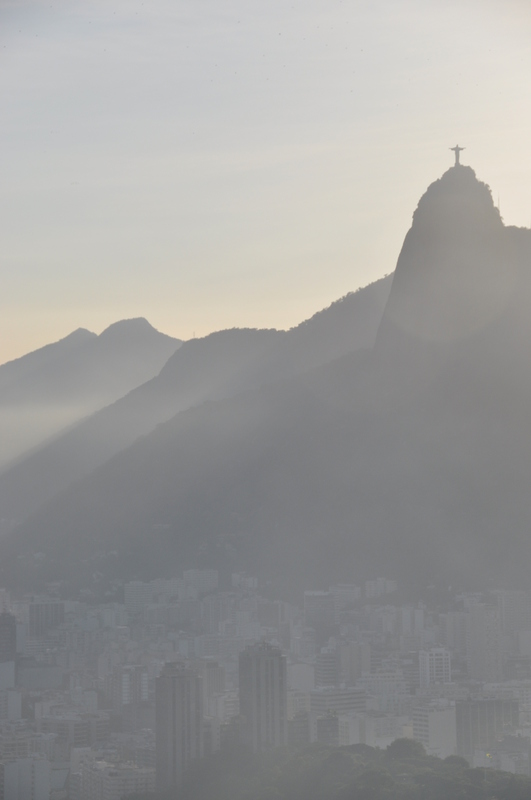 This monolithic quartz rock, like many of Rio’s rock walls, rises steeply for 396 meters (1,299 feet) out of Guanabara Bay. 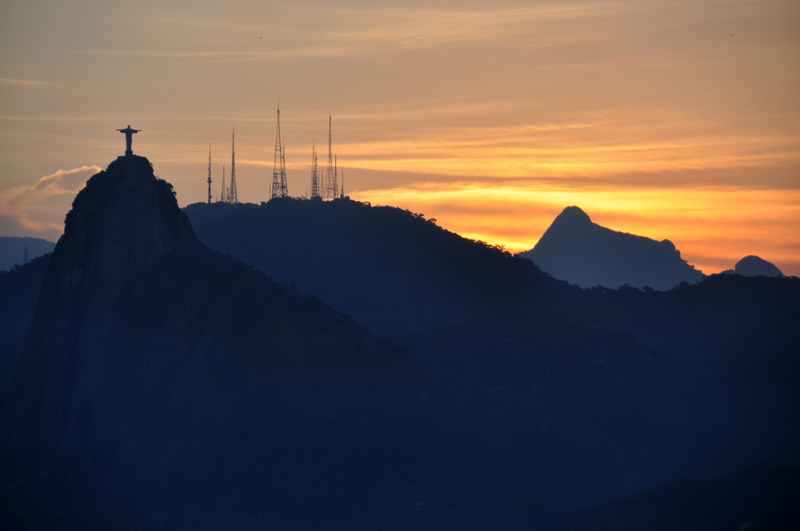 A cable car connects the Sugar Loaf with Morro da Urca, the shorter peak in the picture above that is attached to the mainland. 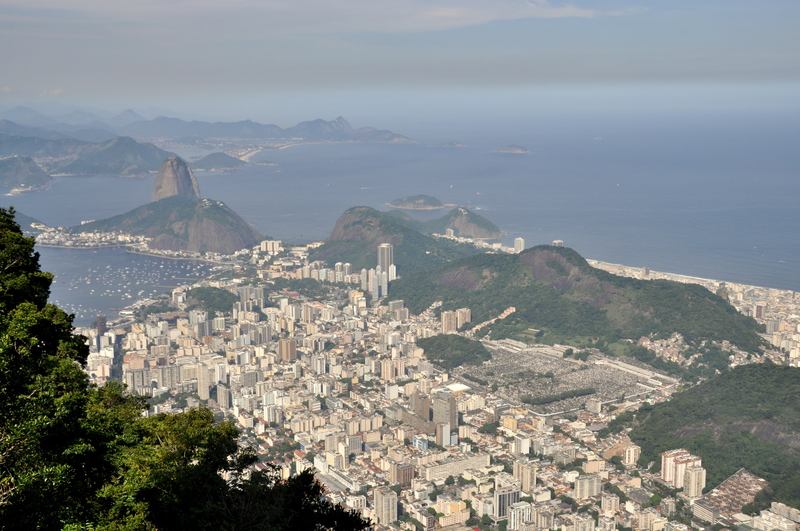 Morro da Urca, along with the smaller peaks on the middle right of the picture above, separates Botafogo Beach from tiny Vermelha Beach, and Vermelha Beach from more famous Copacabana Beach. The forested hillsides in the image above are part of the Tijuca National Park. 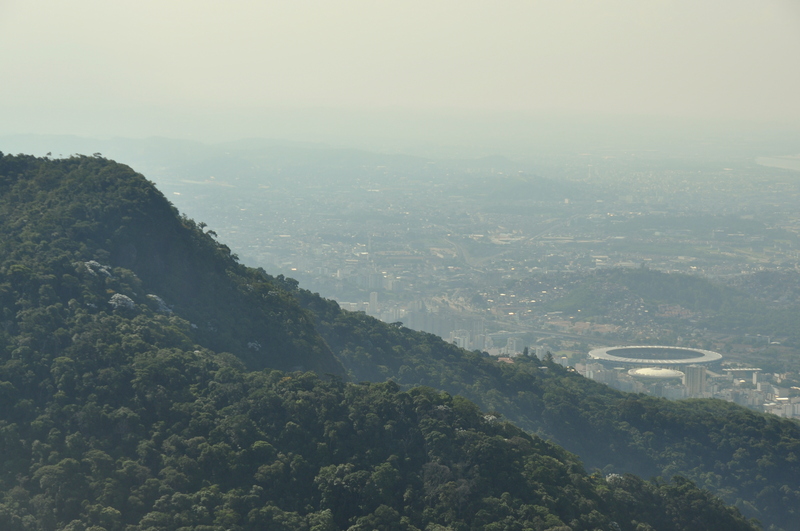 The fútbol stadium on the right, the world famous Maracanã, hosted the opening ceremony for these Olympic games. Estádio do Maracanã seats 78,838 spectators. 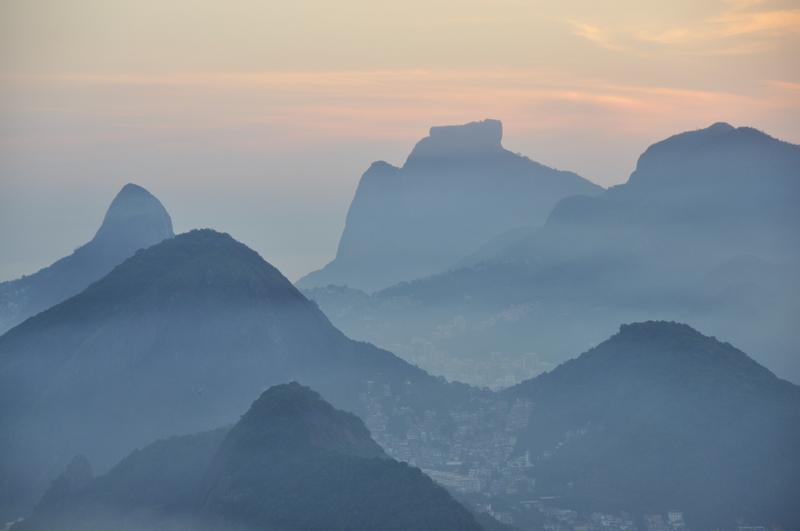 The first three pictures in this post were all taken from atop Corcovado, the mountain that is home to Christ the Redeemer. 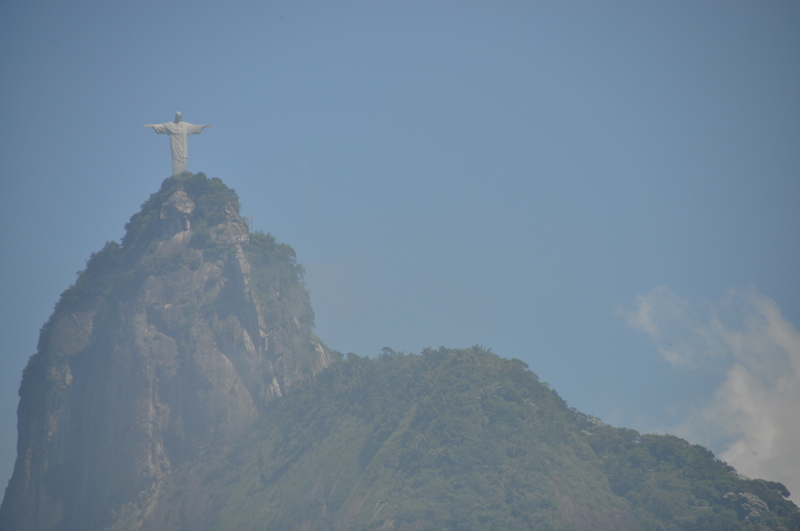 Corcovado looks more impressive from below and afar than it does from up close. Here is the same image taken at midday, when the 710-meter (2,329-foot) granite monolith is cast in shadows. 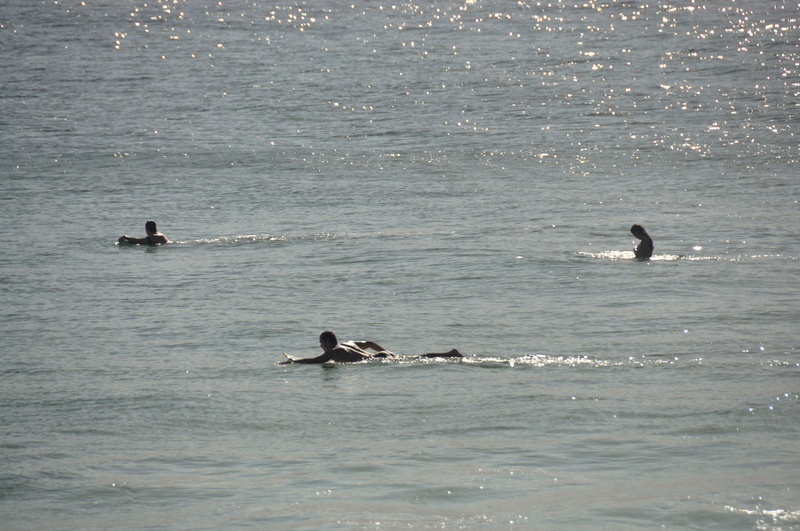 …which are much more striking when seen from Ipanema Beach. 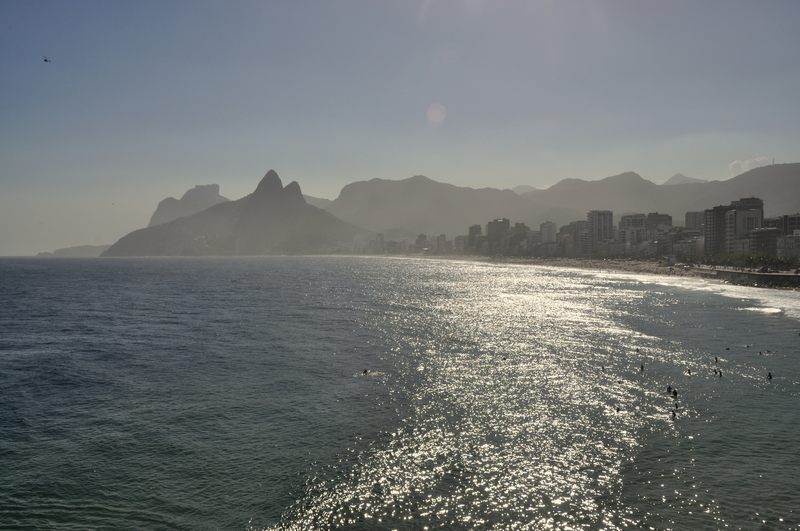 You have to get past some strong waves crashing against Ipanema’s shoreline to reach the calmer waters that the southern sun shines down upon. 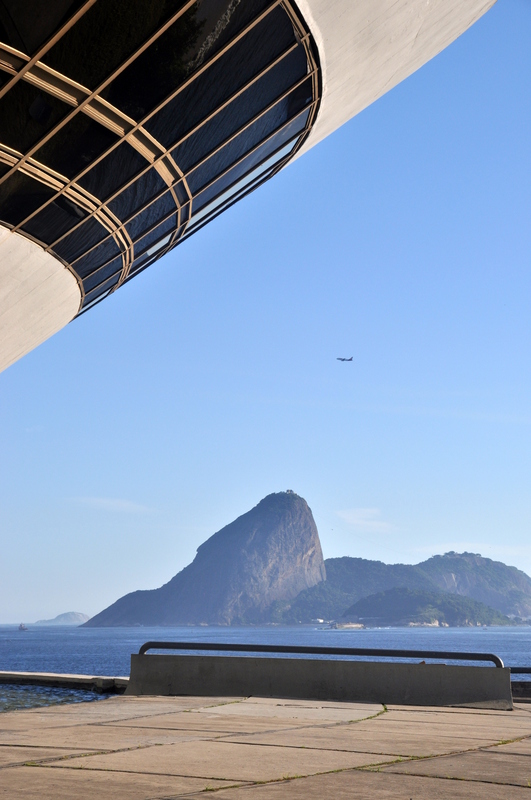 Something different: Pão de Açúcar as seen from MAC, a space-age modern art museum across the bay. 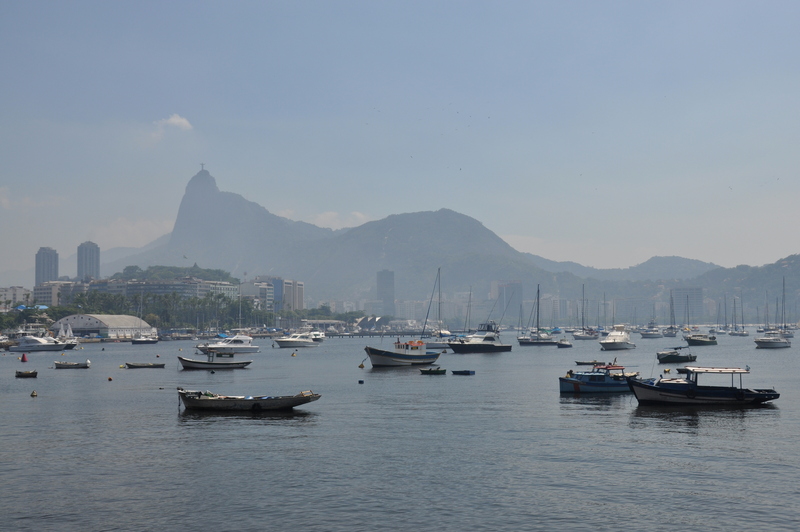 Corcovado, Christ the Redeemer, and the busy harbor north of Botafogo Beach. Tiny Praia Vermelha (Vermelha Beach), an idyllic swath of sand and surf immediately south of the Sugar Loaf. Corcovado, as seen from the middle station of the Sugar Loaf’s two-part gondola. The favelas that cling to these lower slopes, surely some of the most valuable land on the planet, are (ironically) home to some of the planet’s poorest people; the beachfront neighborhoods are home to some of its wealthiest. Sunset is rapidly approaching. The setting sun – and the pollution – shroud the hillsides in a carpet of ethereal beauty. Is there any other city in the world that features such beauty? 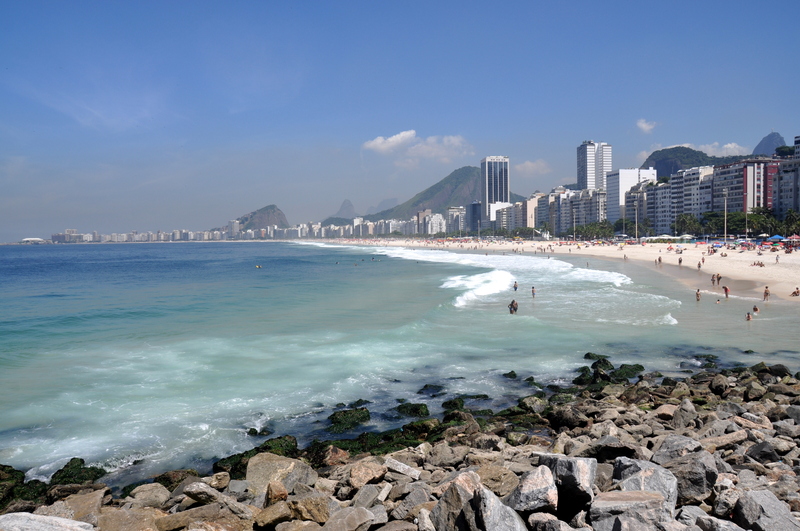 Botafogo Beach on the right, Vermelha Beach on the bottom left, and Copacabana Beach on the middle left. A million dollar view, all for the price of a gondola ride. I wish nothing but success for the 2016 Summer Olympics. 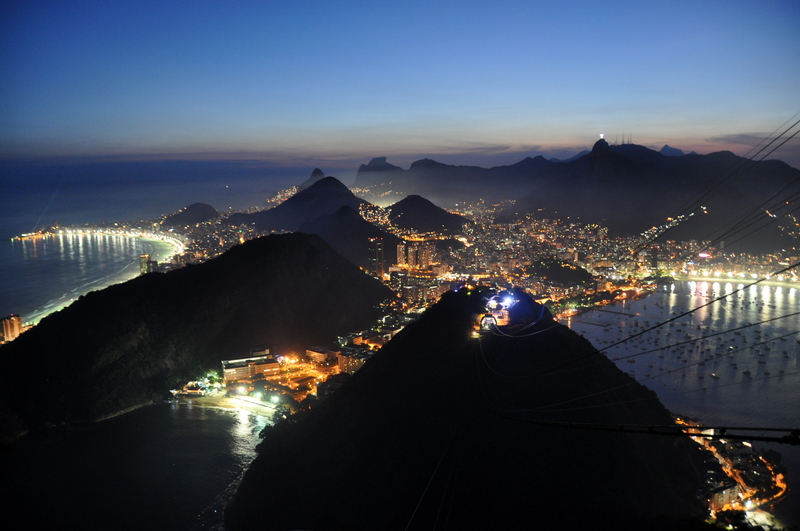 They couldn’t have a better home than Rio de Janeiro, the most beautiful city in the Americas. La Cidade Maravilhosa. Great Read, Thank you. I love to go to Brazil one day! Some of those pictures are breathtaking. Lovely photos. They bring back memories of a trip some 30 years ago. Thanks, William! The city has changed a lot over the past decades.